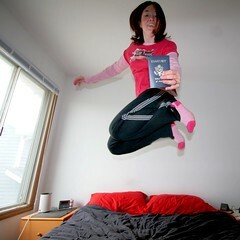 Erica's World: Getting your passport can be one of the most exciting parts of your trip! Getting your passport can be one of the most exciting parts of your trip! In March my husband and I started planning our semi-annual trip to Canada to visit his mother and I realized that, because we got married last year, I'd have to update my passport to reflect my new last name. I downloaded the form, filled it out, and read on the instructions that it usually takes 6-8 weeks, but could take up to 10 weeks to get a new passport. So, I counted up the days until our trip in May and found that I had 77 days, so I did not expedite my application for the additional $60 charge. Now, when I applied for my first passport ever it took about a month for me to get it. So, around mid-April I began keeping an eye out for my passport whenever I went to the mailbox to get the mail. But, April came and went, and a couple weeks into May I began to worry. We had over $2,000 in plane tickets and our trip was to begin on the 24th. So, I started looking into checking up on my application. The first thing I found was that you can check your passport status online, but all it told me was that my application was "in process"... The other option was to call their customer service numbers, but it said they'd only speak with you if your trip date was 14 days away or less. Mine was 3 weeks away, so I marked my calendar and continued to keep an eye on my mailbox. 2 weeks before my trip I still didn't have my passport, so I dialed the passport agency's number. I listened to their loooong messages about how busy they were due to the passport rules change. When it finally got to the part where I'd wait for a customer service representative, it instead hung up on my because there were already too many people in the queue. So, I dialed and dialed until I was able to get into the queue. When they answered, I was promised that it'd be expedited, but told to call again in 2 days to be sure. "Easy for you to say" I replied. But, again I marked my calendar and waited. The next time I called I learned that pressing "9" after the "I'm sorry, we're busy" message would put you back to the beginning of the recording so you didn't have to re-dial. I also learned that just pressing the buttons for the options you wanted cut off the long recording and got you to the point where you'd get in the queue or get hung up on quicker. So, I went around and around in their phone tree until I got into the queue and got a person on the phone. The rep said it had been expedited, and told me to call back in 2 days to make sure they were working on it. And so it went, me calling every 2 days and them doing nothing (or little) and asking me to call back again. When it was 6 days before my trip date, I decided that more had to be done. I googled for other things I could be doing to speed the process up. I found several people who claimed that calling their Representative's local office helped them. So, I called. The interesting thing about calling my Rep's office -no phone tree, no getting hung up on, no waiting in a queue. I got a personal contact, and SHE called ME with updates! I highly recommend calling your Rep if the clock is ticking down on your upcoming trip! In the end, though, I got my passport less than 24 hours before my trip! It turns out that they are processing passport applications by trip date rather than first-come-first-served and that includes expedited applications. Expediting means very little at this point. It's all based on trip date. More than once I wished I had lied about my departure date. Just by a couple days. They never asked for verification, and I would have slept a lot better in the few days before my trip! Blah, so my vacation started out quite exciting, but at least I made it. I have a feeling that there are others who aren't as lucky. Or... there soon will be. The passport office needs to step things up. Their rules are creating this backup! If they can't keep up, they should repeal the rules until they can. It's insane that in this "free" country we're unable to travel freely as we did just months ago) to our neighboring countries. I bought a petite blythe!